If you're lucky enough to be born in April, you know that you hit the jackpot when it comes to birthstones. 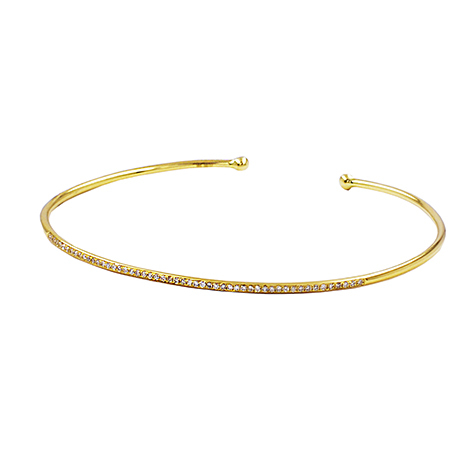 Diamonds are said to increase the wearers inner strength and also provide balance and clarity. And, of course, we can't forget that diamonds are the ultimate symbol of eternal love. Just because diamonds are a classic stone, filled with symbolism and meaning doesn't mean they can't be worn in a way that is youthful and interesting. By playing with proportion, stone color and silhouette, your diamond jewelry will be fresh, not stuffy. In honor of Diamond Month, we've chosen a few of our favorite pieces that feature the stone. Whether or not you are born in April, it's difficult to deny that diamonds are truly special. And really, who can resist their spectacular sparkle and romantic meaning?